In one of the D.C.-area's wealthiest counties, more than one-third of students receive free and reduced-price meals at school. And a Bethesda-based real estate agent wants to make sure they aren't left wondering what they'll eat on weekends. WASHINGTON — Jeremy Lichtenstein does not need Census Bureau data to tell him that Montgomery County, Maryland is one of the wealthiest communities in the country. As a Bethesda-based realtor, he sees proof every day in the form of million-dollar listings. But about seven years ago, one statistic did catch him off guard: More than one-third of kids in the affluent county receive free and reduced-price meals at school. So Lichtenstein called the principal of a local elementary school and pitched him an idea. Food-insecure students are fed when they are at school, but he wanted to make sure they had something to eat after the final Friday bell. With zero experience in nonprofit work, he proposed launching an organization, called KIND (Kids in Need Distributors), to purchase and pack shelf-stable staples for students to take home at the end of the week. “We really just winged it. We really just got in there and dug in and tried to figure out a system that we think would be the simplest because I had to always keep in mind that I had a day job … But it worked. It’s working,” Lichtenstein said. That first year, Lichtenstein and a small group of volunteers supplied 37 kids at one Montgomery County school with food for the weekends. This year, KIND — which is made up of Lichtenstein, one part-time employee and 150 volunteers — is feeding nearly 2,200 students at 27 schools. 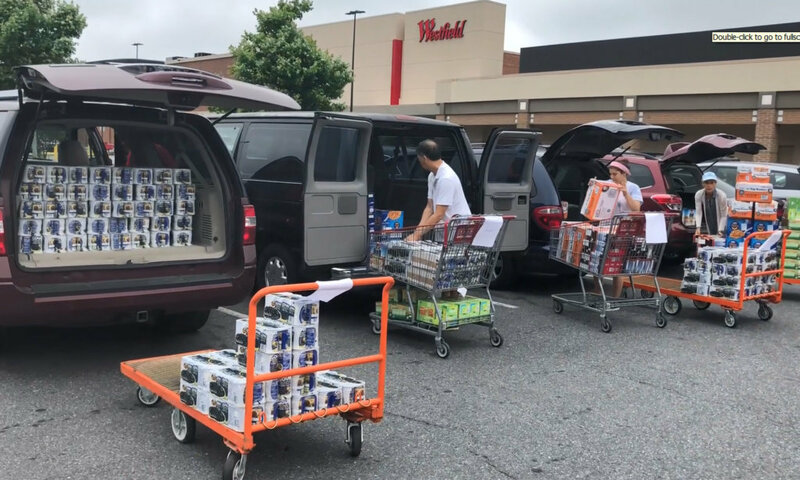 Every six weeks, a caravan of cars, trucks and SUVs, led by Lichtenstein, pull into the parking lot of the Westfield Wheaton Costco and pack their trunks with boxes of beans, pasta, applesauce and granola bars. “We will move, literally, 100,000 food items from Costco to the cars and out in less than 30 minutes. If you saw that much food, you’d be amazed. It amazes me,” said Lichtenstein, who added that Costco employees fill the large order and then separate it out by school. Volunteers drive the food to the designated schools, where teachers, staff and more volunteers break it down and pack it into bags for the students to take home on a weekly basis. 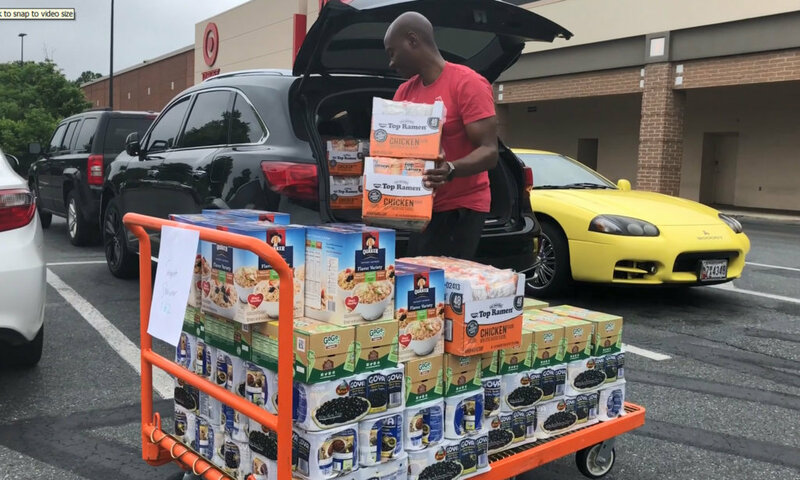 “Then what happens is on a Friday afternoon when the kids are at recess, the food gets placed in the backpack by the child’s teacher so no one else sees it,” said Lichtenstein, who purchases the distributed food with money from grants and individual donors. Lichtenstein estimates KIND will grow by another 350 students next year. Still, he has plans to reach even more. After winning the 2018 National Association of Realtors Good Neighbor Award, he has been contacted by others across the U.S. who want to bring KIND to their communities. Instead of expanding his operation outside Montgomery County, Lichtenstein is working to share his model with those who want to make an impact in their local schools. “Because if I can have 100 outlets feeding 100 kids, that’s going to grow a lot quicker than me adding 350 kids a year,” he said.